Perhaps of culture, people in here may try to avoid on using wood for some furniture due to its durability. 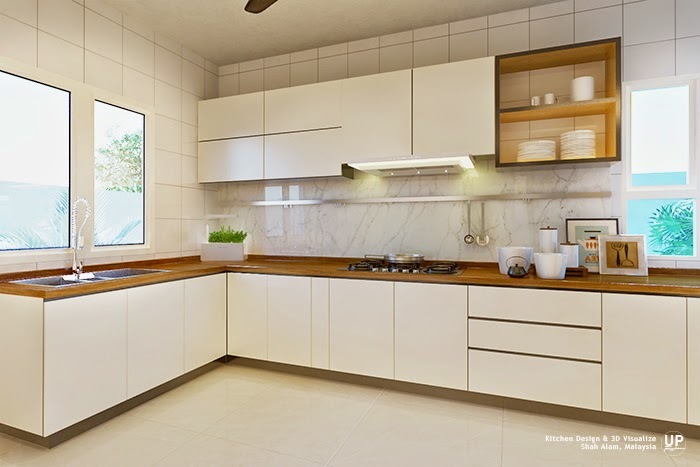 Actually, wood is quite a nice materials for kitchen working top whether in appearance or maintenance, and it is a natural materials that using for decades. 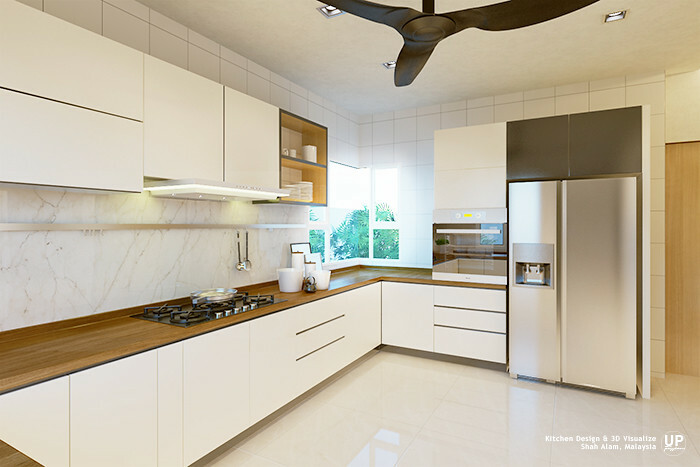 In some western countries, solid timber top is widely use for their kitchen. The color of wood gives us a feeling of warmth that often use for create a harmony space. Brown, grey and white is always the best color scheme for a modern, steady and neat design; with solid timber top, white door panels, grey color skirting & cabinet carcass, and the embellishment of the marble tiles back-splash. Do you like this color scheme of kitchen?